A new Occupational Safety and Health Administration rule will extend a 2010 standard for cranes and derricks to include underground demolition and underground construction. Under the new rule, the same standards that are currently used in other construction sectors will be applied to underground construction and demolition. The final standard goes into effect May 23. 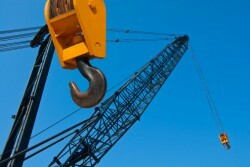 The agency says that it is extending the rule to protect construction employees from hoisting-related hazards. Also, the rule eliminates the separate standards that are currently used for demolition work and underground construction. According to the Occupational Safety and Health Administration, it is important to ensure that workers in the underground construction and demolition sectors have access to the same workplace safeguards as construction workers in other sectors. The OSHA standard was published in August 2010 and was an update to the previous rule that had been published in 1971. The rule requires that employers comply with local and state operator licensing requirements and pay for operators’ qualification and certification. Employers are also required to use a qualified rigger for rigging operations during assembly and disassembly, and to perform inspections of tower cranes before erection.